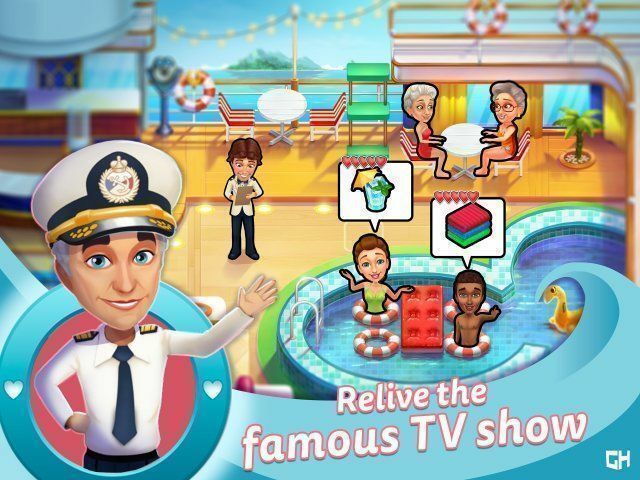 Here you can download the game “The Love Boat. Collector's Edition” on your PC without registration and for free. To download the official version of the game on the computer is very simple, you can do this by clicking the button Download Game. You can get the key to the game “The Love Boat. Collector's Edition” after starting the game by clicking the button Remove the time limit. You’re running the lobby café on a liner cruising the Pacific Ocean. 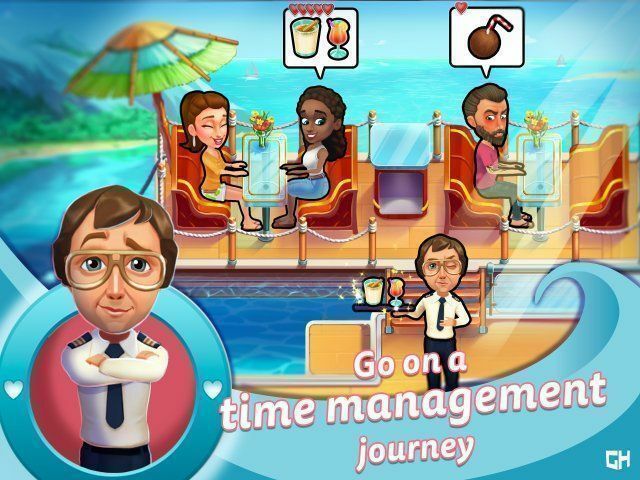 Passengers can come to you not only to make an order off the menu, but also with a lot of requests: to take the key from the cabin, to flip through a brand new issue of the fashion magazine, to make a note in the registration log. And you should pay attention to all of them! Today, your guests will be picky and fastidious Mr. and Mrs. Skoggsted, who have just recently become the new company owners. They say, if the new owners do not like something, they are able to immediately fire all the staff. Be quick and attentive, and everything will be fine. Mrs. Skoggsted has ordered a sea urchin omelet — you have to find all necessary ingredients and cook this dish. Add a glass of sparkling champagne as a compliment to her order. Who knows, maybe everyone who works on the liner will keep their job due to such a wonderful lunch? 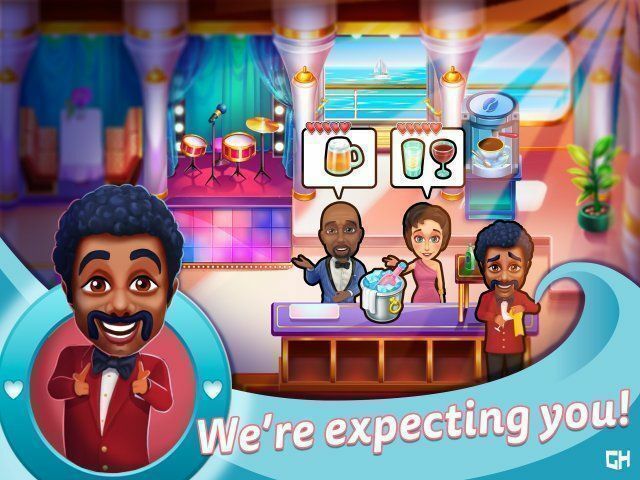 You should skillfully run the lobby café on the liner and get points and bonuses, for example, for serving several customers at a time, or for catching a mischievous little mouse looking out from behind the table. The faster you serve passengers, the more satisfied they will be and the more money they will leave in the tip cup. Using this earned money, you can purchase new furniture, equipment and design elements in the store. There are two charming girls, sisters Emily and Angela, among the passengers of the liner. 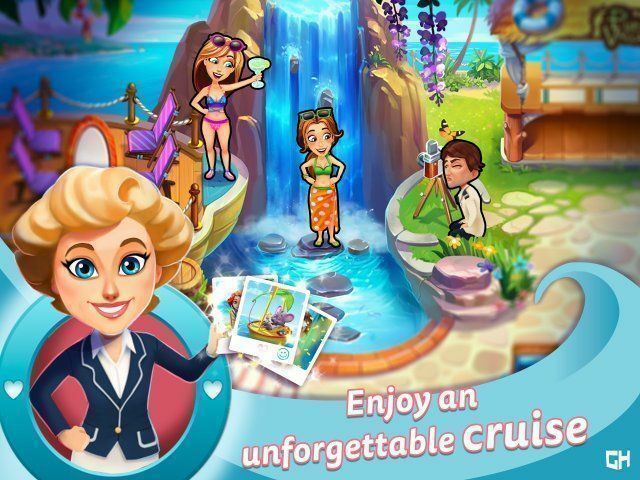 Their mother presented them a cruise trip, and now the girls are enjoying their adventure: a comfortable cabin, incredibly beautiful landscapes, friendly neighbors and staff, an excellent menu in the café… But Emily and Angela do not know the most important thing yet: they are destined to meet their love in this journey. Choose a comfortable difficulty level: Beginner, Normal or Expert — and become the hero of this exciting story!